Timeshare at Sheraton Vistana Resort is situated in over one hundred and thirty five acres with sub-tropical landscaping, fountains, lakes and beautiful waterfalls. 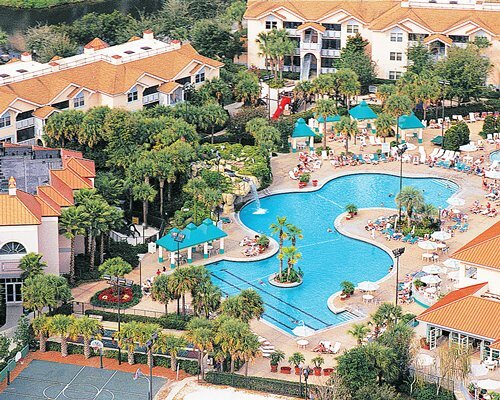 The Resort is only a mile away from the world famous Walt Disney World, Universal Studios and SeaWorld. Vistana has plenty to keep the adults and all the children entertained all day and night, that's a promise. Sheraton Vistana Resort provides 1 and 2 bedroom units or a flexible 2 bedroom lock off. Whatever your choice of apartment it will just feel like home from home. All the timeshare units are fully equipped with a full kitchen, washer & dryer, whirlpool hot tub, in the master bedroom and a private patio or balcony. At night you can sit on your balcony taking in the breath-taking views that surround you. Whatever your needs Sheraton Vistana will provide you and your family with hours and hours of fun and entertainment. On site you can enjoy the seven outdoor swimming pools, eight outdoor whirlpools, three games rooms, four children's playground area's and thirteen tennis courts. After an action packed day of leisure activities treat yourself to a relaxing massage. 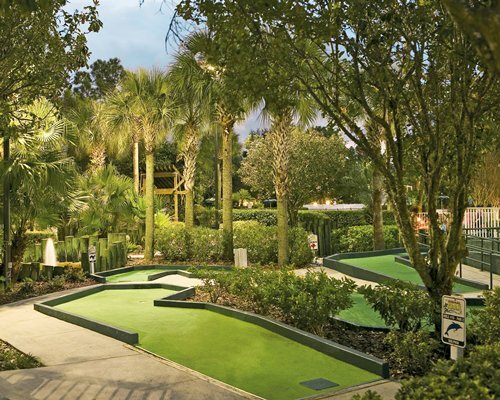 You can also try the eighteen-hole miniature golf course or to keep within the American tradition & play basketball or volleyball on the courts provided. Nearby the resort you can have a day out boating or deep sea fishing. Go horseback riding and explore the beautiful scenic views or just meander around the shopping mall looking for bargains or gifts for family and friends back home. Sheraton Vistana Resort is the number one holiday destination that you can all enjoy and will leave you wanting to come back year after year.